Money Making Conversations: Bill Duke, Jonnetta Patton & Kindu Walker, Rickey Smiley, Mediaprince, and Kevin Powell. 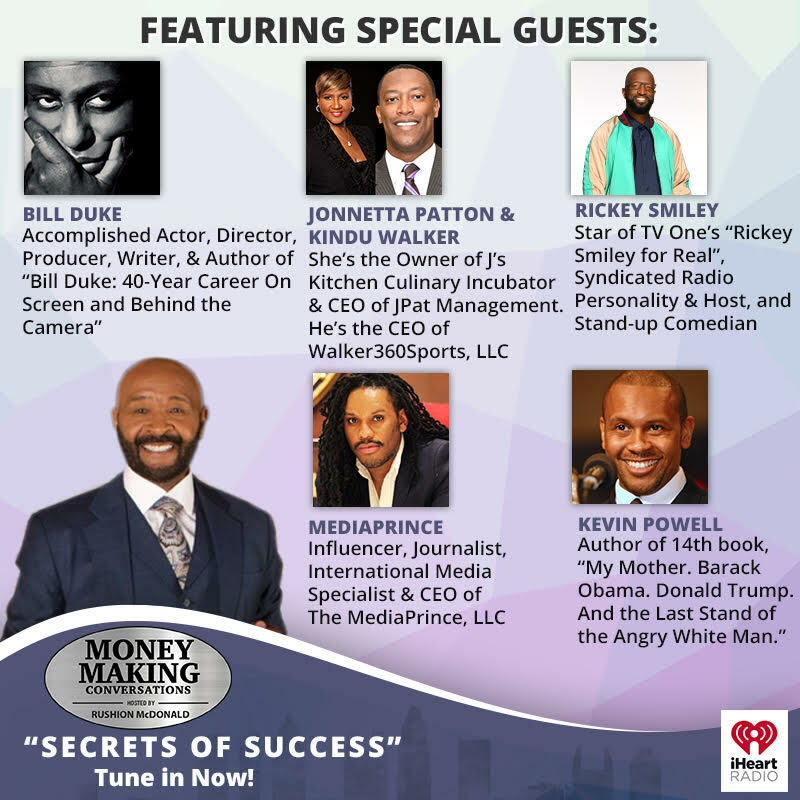 Appearing on this episode of Money Making Conversations is Bill Duke, Accomplished Actor, Director, Producer, Writer & Author of “Bill Duke: 40-Year Career on Screen and Behind the Camera”; Jonnetta Patton & Kindu Walker, She’s the Owner of J’s Kitchen Culinary Incubator and CEO at JPat Management. He’s the CEO of Walker 360 Sports, LLC; Rickey Smiley, Star of TV One’s “Rickey Smiley for Real”, Syndicated Radio Personality and Host of “The Rickey Smiley Morning Show” & Stand-up Comedian; and Kevin Powell, Author of 14th book, “My Mother. Barack Obama. Donald Trump.